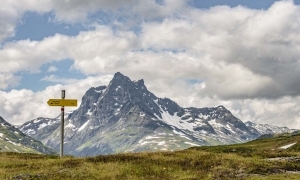 Hiking is top of the agenda in the St. Anton holiday region. So you can explore the region under expert guidance, we offer daily guided hikes. 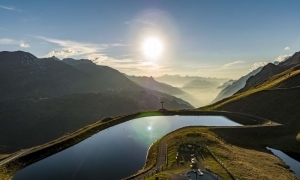 Savour the incomparable scenery on hikes with certified hiking guides from the Arlberg Arena Mountain Hiking School, who are also able to provide lots of interesting information on the landscapes and local history along the way. Please check our weekly programme for the dates of our hikes. Get out of bed - it's worth it! 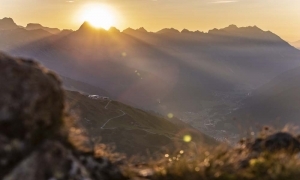 Explore the impressive mountain scenery of Tyrol with a sunrise walk and enjoy the peace of the early morning nature with a breakfast on the alpine pasture „Ganatschalm“! We take a taxi to the Ganatschalm. From here we go the Mösli and back again. If you like, you can walk to Flirsch or Schnann, walking time about 2 hours. Please bring poles with you. Good walking boots are required! Please bring poles with you. Good walking boots are required! Your mountain guide will explain the right movement and breathing technics, including a light fitness training. The hike leads via "Rosannagorge" up to "Maienweg" to the "Sennhütte", where you have an opportunity for a small break. Afterwards we hike back to St. Anton. On this hike, an educated herbs-expert will show you our local flora and give you useful tips on how to use herbs and flowers. Please bring poles and drinks/snacks with you! Good walking boots are required! Please note that you will have to use the cable car for this hike! 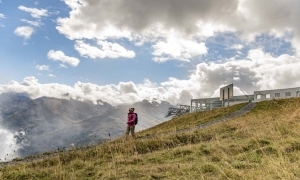 This hike leads you through magnificent mountain meadows and past an old farm, the "Egghaus", to the Pettneuer Nessleralm at 1600 m.
Please bring walking sticks. Good shoes required! From the meeting point in front of the tourist office in Pettneu the way leads you through the Malfon valley to the alpine pasture Malfonalm on 1687 m.
Guided hike to the alpine pasture "Rossfall"
Starting at our meeting point in front of the tourist office, you hike through the astonishing "Moostal"- Valley to the alpine pasture "Rossfallalm". In order to take part to this guided walk you will need two featured activities included in the Summer Card. A journey through the millenium! In Tyrol, this natural jewel is unique, but above all the landscape variety of the Mösli with its moren and streams. Nature has opened its history book in Mösli. On a few hundred meters you can see all vegetation levels from the glacial epoch to today. The Mösli was declared a landscape protection area in 2010. We take a taxi to Ganatschalm. From here we go the Mösli and back again. If you like, you can walk to Flirsch or Schnann, walking time about 2 hours. Please bring poles with you. Good walking boots are required! 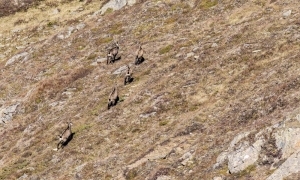 On the Moostalweg, a pleasant mountain forest trail you reach the wild and romantic Moostal and walk along the Moostalbach on a forest road past cows and marmots at 1,725 ​​m to the located Tritschalm. There you have the opportunity to taste fresh products directly from the Alm. 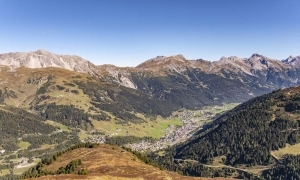 From St. Anton you will hike with your guide to the "Putzenalm" on 1726 m.
Please bring your own food and drinks! Guided mountain walk to the pond "Egger Weiher"
From Flirsch the way will take the oldest road known, the old Roman road, to the pond "Egger Weiher" in Strengen. Your way back will lead you through flower meadows to Flirsch. Please bring drinks and snacks with you, there is no refreshment point on this hike! Our guides lead you through the forest, up to Sattelkopf. On the top you will enjoy an amazing panorama over the region. You will walk on a path through the woods until you reach the wild and romantic Schnann Gorge. After passing the gorge you will hike back to Flirsch. Guided hike on the panorama trail "Galzig"
After a ride with the "Galzig" cable car, you will walk on the panorama trail. Please note that you will have to use the cable car for this hike. One guided hike as listed in the weekly programme free-of-charge.